Citizen now introduce an extremely stylish awesome Mens Watch having good look and decent feature. 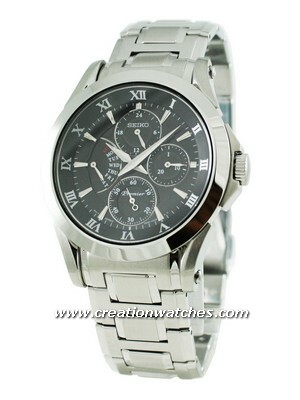 This Citizenwatch is one of the beautiful from the collection of citizen watches. Stainless steel material is used while making the case of this watch also the bracelet of this watch used stainless steel. The dial of this watch is silver in color, on the silver dial of this watch blue hands are well placed. Sapphire crystal glass is tapped on the face of this watch this sapphire crystal glass is strong and robust also this sapphire glass is more tolerant to scratches. The working of this watch is based on quartz movement; a good quality quartz watch is extremely accurate and comfortable, quart watch usually powered by battery. This watch has minute repeater function its generally used in classy watches, this minute repeater function can express hour, minute and quarter; this minute repeater watch will impress everyone with its simplistic elegant and sophisticated quartz movement. This is perpetual calendar watch a Perpetual Calendar Watch is able to automatic adjust date and continuously accurate works months or leap year, no requirement of manual once we set the date of this watch. A single crown is given for adjusting its date and time. The water resistant of this Mens Citizen Watch is 30meter; this watch is helpful to rely from all the drawback of other watches. This particular mens watch is certainly one the glamorous watch because it used lighter and strong material. This watch is perfectly suitable for sport person, celebrities and young people who always demand such a great watch. You can wear this watch in any season or can go anywhere with this watch. This watch is really reliable and comfortable in wearing, anybody can impress with this watch. You can use this watch for particular occasion or in daily uses. Citizen Campanola AG6230-57P watch has the style and the mechanics to keep time like the Perpetual Calendar Watches. The Citizen Mens Watches are truly a place of pride for watch makers. 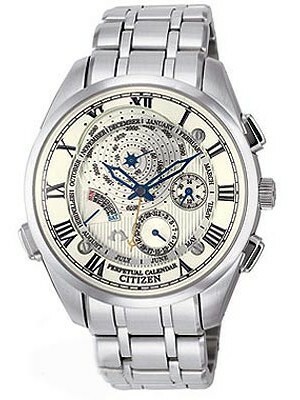 These Citizen Mens Watches are wonderful additions to other modern fashionable watches. This watch is available for US $2,575.00 with us.